Oh, Target. I have such a love/hate relationship with you (doesn’t everyone?). Target is full of so many things at great prices, but it can be so easy to go over budget while shopping there. I buy all of our pantry food there, and I appreciate being able to pick up non-food items there to save errand time. Here are some great strategies that can help you save money at Target that you can use each and every time you’re there. Target accepts printable and manufacturer coupons, plus they have their own coupons that can be used WITH the manufacturers’ coupon for double the savings. There are several ways to find Target coupons. First, check their printable coupons page as they have hundreds of coupons you can print right off their site. Second, sign up for their Mobile Coupons. It is as easy as sending the word OFFERS to 827-438. You will then be added to their list and receive new coupons every 2 weeks! Lastly, check your mailbox. 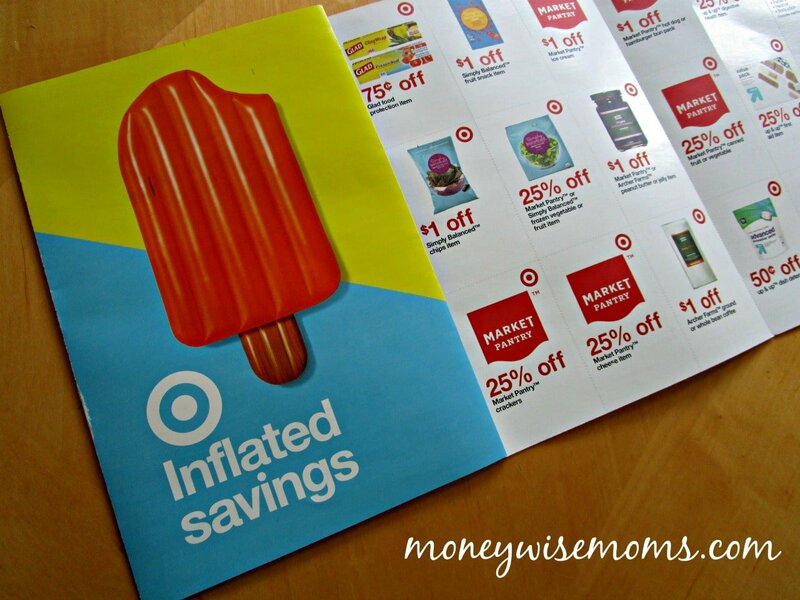 Target sends out booklets several times a year with great high value coupons. 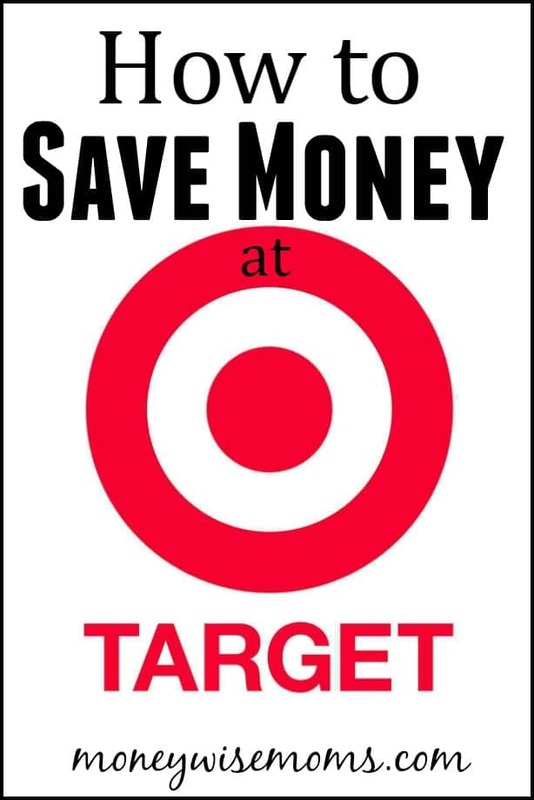 If you are a smartphone user, download and use the Target Cartwheel app for even more savings. There are hundreds of deals you can add to your phone and all you do is have your cashier scan your phone and the percentages come right off. The best part is you can use this along with all the coupons mentioned above. Personally, I love that Cartwheel always has percentage-off savings for store brands like up&up, Cherokee , and more. Target usually keeps their clearance deals on the end caps of each department. It isn’t always super organized, but if you like looking for deals, it is a great place to search. They usually start by marking things off by 15% and going down from there. Sometimes it might be worth checking back, because they then drop to 30% and 50% off. Be warned–clearance items (especially holiday themed ones) tend to go quickly! Target has its own credit or debit card called REDcard . Each time you use it you save 5% instantly (both at the register and online). You also receive free shipping on any online order, plus an extra 30 days to return items. Target has a nice dollar section when you first enter the store. They keep a lot of cute and cheap seasonal items that can save you money, and I’ve seen more and more Pinterest-level decor and designs there in the past year. The quality is good for the price, and it’s a great place to find small gifts to keep on hand. Another great thing to grab are gift bags and stationery. Obviously, this section can also lead to impulse buys, so give yourself a budget to work from. Target will price match with their competitors and with themselves. You can bring in weekly ads from other stores or show them on your smartphone and they will give you the better price. Also, check Target’s website for the online prices because sometimes it is cheaper than the actual store and they will give you the lower price. 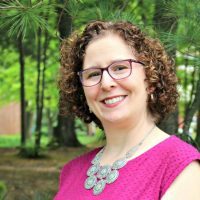 It is much easier and faster to do any price adjustments at Guest Services versus the checkout lines as they usually know the policies better. The best part? This policy lasts up to 14 days after your purchase, not just the day of. I’ve taken the Sunday ad into customer service along with the receipt (you don’t even need to bring the product back) and gotten the adjustment made. What is your best tip to save money at Target?